Greetings to you all. We are grateful for all your prayers. We appreciate you all for holding the rope behind us therefore we could go to the warfront to labor for the kingdom of God. I would like to share some of what God is doing through us. We want to be careful about the reports we share. It is not that we are satisfied with all our accomplishments – but most of these results come in the midst of tears, discouragements, sleepless nights, fear, threats from the anti-elements of the Gospel (Hindutva militants – RSS, VH, Bajarang Dal, etc.). They have tried their best to discourage me and drive me out of this place where I am planting a Church. They do not want to see any Christian work or Church to be established. Because of this, my wife and I have gone through many sleepless nights and so much mental pressure and loneliness, perplexed and despairing. But I thank God as Paul says of his experience in 2 Corinthians 1:3-4: “Blessed be the God and Father of our Lord Jesus Christ, the Father of mercies and God of all comfort, who comforts us in all our afflictions so that we may be able to comfort those who are in all affliction with the comfort with which we ourselves are comforted by God.” In verse 9 it says: “…but that was to make us rely not on ourselves but on God who raises the dead.” And verse 10: “… on Him we set our hope.” That’s how God is helping, comforting, and sustaining us in His mission work. It is not that easy to pioneer, planting a new church where there is no church or any Christian witness. It is not that we are building on somebody else’s foundation. Since a couple of years after we moved from Gujarat state (where we had planted a church), my wife and I have been laboring here, relying only on God for our physical and ministry needs. God in His mercy has enabled us, using these earthen jars to plant a new church, the only Reformed Church in our large and densely populated area. According to a recent survey, our city population is 12 million (bigger than both Bangalore and Chennai). We also have another challenge in our city and state which is the rapid growth of the prosperity gospel movement, a megachurch culture with easy-believism, and so much manipulation going on. For this reason, we desperately desire to see greater efforts in providing Reformed literature, training classes, and conferences to Pastors in teaching sound doctrines. It is an answer to our prayers that God has changed this brother Prasad who was from Anglican Church background. I have been visiting his home for long time. He has been closed for so long to the true gospel, and for him the word regeneration is strange. He has never entertained anyone to talk to him in his home about Gospel. I have been praying and waiting on God for His work of salvation in his life, and finally God did it He gave new life to him. He submitted to Christ and believed in His work on the cross and He is now new person in Christ. 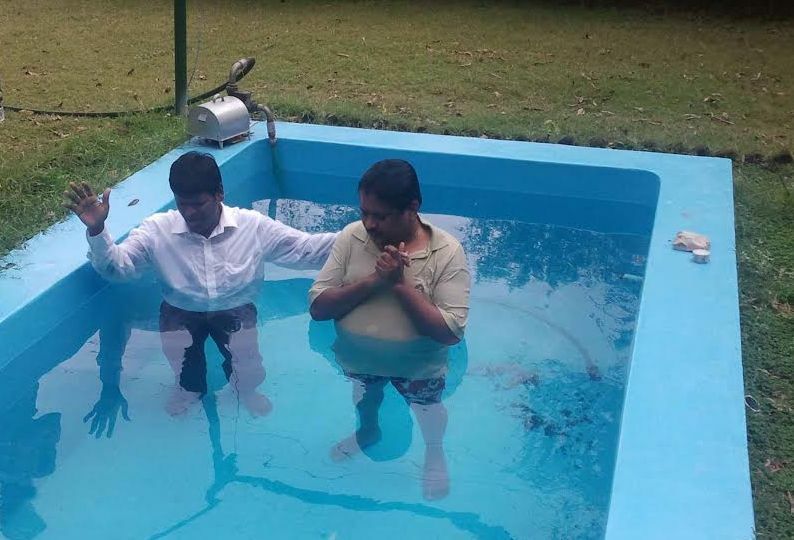 Recently I have given water baptism to him and he is coming to Church. Pray for this brother. Recently one of our church members was going to some training and she tried to share gospel with the lady who is the owner of training center. This lady who is a Hindu never heard about Christ. Later, my wife and I went and shared the gospel again with her and gave her a book. But when her husband saw the book, he tore into pieces and shouted at her. After some time she got a sickness which is very complicated and now she is suffering from depression. She is almost 9 months pregnant. At this point, she called us to pray for her and teach her about God. Last week we visited her two times and prayed for her. We couldn’t teach much to her due to unfavorable circumstances with her, but we trust God to work in her life. For the first time, she came to church last Sunday, August 31st. Please pray for her and her husband. Her name is Padma. Along with her we met two more ladies who are also attending the training there with our believer. We also shared the gospel with them and they are interested to know more about Christ, but they have opposition from their family. One lady came to Church last Sunday secretly without her family’s knowledge. Pray for these 3 ladies. 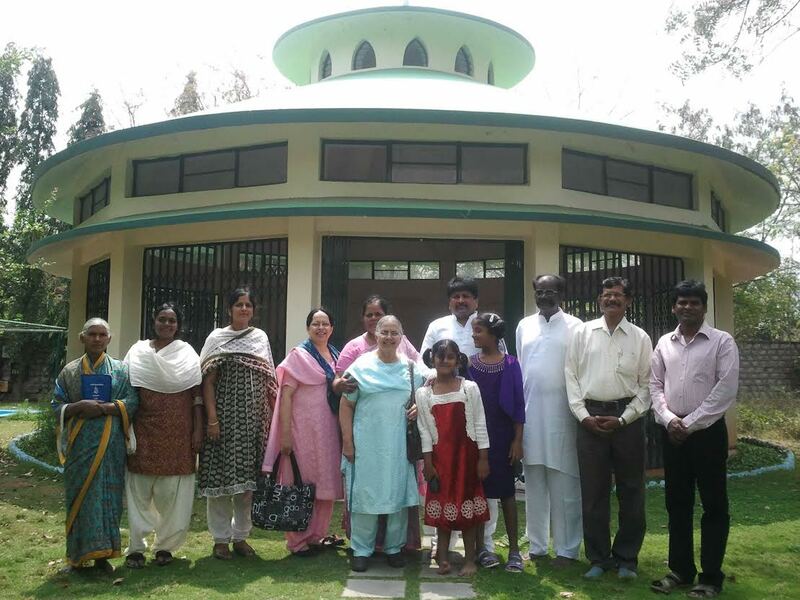 They are from high caste families who think Christianity is for low caste people. Thank you once again for standing with us in this ministry. I appreciate your precious prayers for us.